Avoiding wordpress xmlrpc attack. How to mitigate? – tunelko. That’s the time and consumption of resources. It is strange and a clear sign that something is not being regular, so next step is view logs and filter some network packets with ngrep, a fantastic tool for real packet monitoring. In this process you can realize from where are the requests because you know web server is pointing directly over this consumption resources. 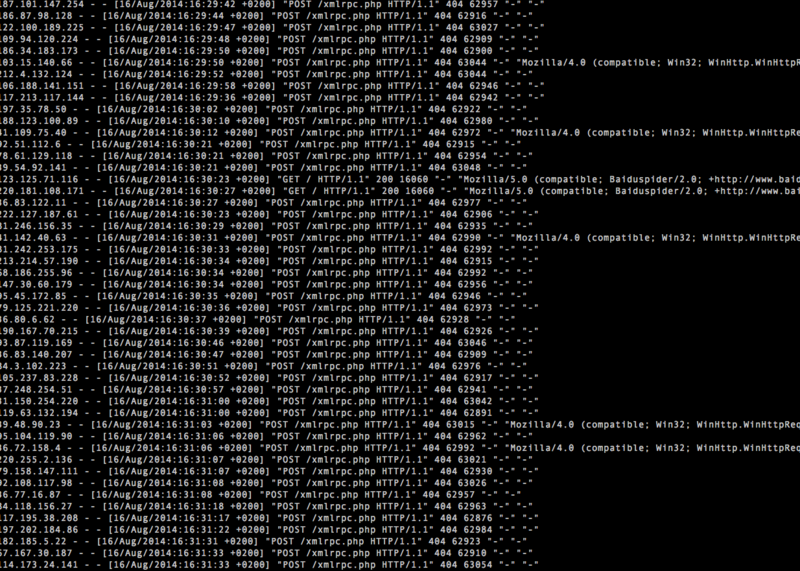 I have tweeted an image of the attack containing the xmlrpc’s requests. What is xmlrpc.php and what is it used? Simple. A method call, method name and params-value inside. xmlrpc only accept POST requests and well formatted data. As far as we know we are not discovering nothing. The interesting part for the attacker perspective is to abuse of its behavior. We see in the screenshot that a lot of requesting POST on xmlrpc.php. That exactly we need to start to stop the attack. Let’s see how. a) Move the file to another filename. The attack don’t stop but they have a 404 not found, so in the case of they are abusing to stole your credentials you have achieve an important thing: they don’t get any credentials. But in the other way, your server consumes so many resources and this is bad. That’s the case that bad guys are abusing xmlrpc.php to launch ddos attacks against other, some more important, target than you. Change logpath to match with yours. This is the config of the jail but need a filter to trigger the action with iptables. Let’s edit and configure. Remember we have a lot of request to POST xmlrpc.php ? Yes, this is what we need in our regular expression in /etc/fail2ban/filter.d/xmlrpc.conf. That’s it. Restart fail2ban and see the log adding the new jail. In my case after an hour the attack cease. More than 25.000 bodies from some kind of botnet was laying down all over the ciberspace. Become into carrion. Ha-Ha. Next time better luck. It’s very important to understand how software works, you can abuse it and / or you can help to protect it. This kind of attack is well-known and as i mentioned before you can replace xmlrpc method with this plugin (https://github.com/ericmann/secure-xmlrpc). The solution to disable xml rpc is temporally because you need it for wordpress updates and other commented functionality. Other important thing is xmlrpc attack happens even you have the latest wordpress version patched with the latest plugins. It’s true that 3.9.2 have changed XML-RPC behavior, but not completely. 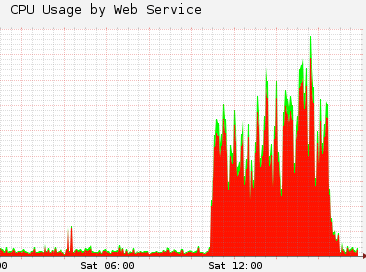 ngrep -q -W byline "GET|POST HTTP"
UPDATE: More clear graphic about server goes back to the normality.